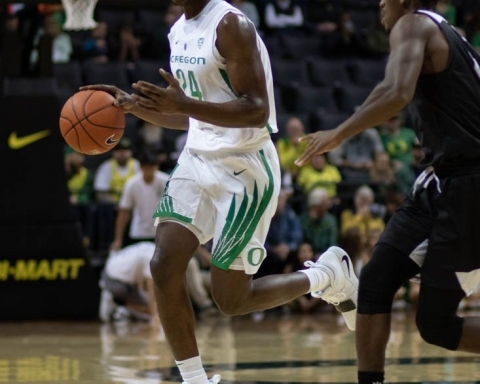 For the first time since November, the Oregon Ducks men’s basketball team is back in the top five of the Associated Press top 25. The latest college basketball rankings were released Monday morning. Unsurprisingly, the Ducks (21-3, 10-1 Pac-12) moved up 8 spots to No. 5 after a dominating 27-point victory against a highly ranked Arizona Wildcats ( 21-3, 10-1) team last week. 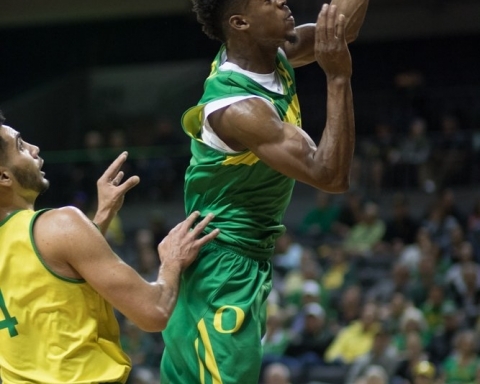 Oregon opened the season with lofty expectations and a No. 5 ranking, but two early loses nearly dropped the reigning elite representatives out of the top 25 altogether. Star guard Dillon Brooks returned from injury, and head coach Dana Altman and co. have orchestrated one of the best runs in program history. The Ducks boast the longest active home winning streak at 40 games, which moved to first place when then No. 2 Kansas was shocked at home against unranked Iowa State on Saturday. Oregon has won 19 of its last 20 games, non bigger than the dismantling of the Wildcats to move into a tie for first place in the conference. Considering the absence, and slow return, of Brooks early in the season, when the Ducks dropped two of its first four games, voters took way too long to bring Oregon back into the top of the rankings. It wasn’t until last week that the Ducks cracked the top 10, and it only took a blowout victory over Arizona and losses by six of the top 10 ranked teams for Oregon to move back where it belongs – in the top five. ESPN Bracketology expert Joe Lunardi has the Ducks as a two seed in the west in his projected NCAA Tournament bracket. Should that hold, Oregon would face Furman in Sacramento then the winner of seventh-seeded Notre Dame and 10th-seeded Wichita State. Altman is no stranger to highly touted team, quickly passing previous Ducks coaches as one of the best in program history. Webfoot faithful have known all season how good the green and yellow – or black, white, etc – are, but now the nation is starting to drink the Kool Aid again. Oregon will have another chance in the national spotlight when it hosts No. 10 UCLA (21-3, 8-3) in a rematch of Brooks’ buzzer-beater in January. Should the Ducks make another statement, don’t be surprised to see them continuing to climb toward the top of the rankings.